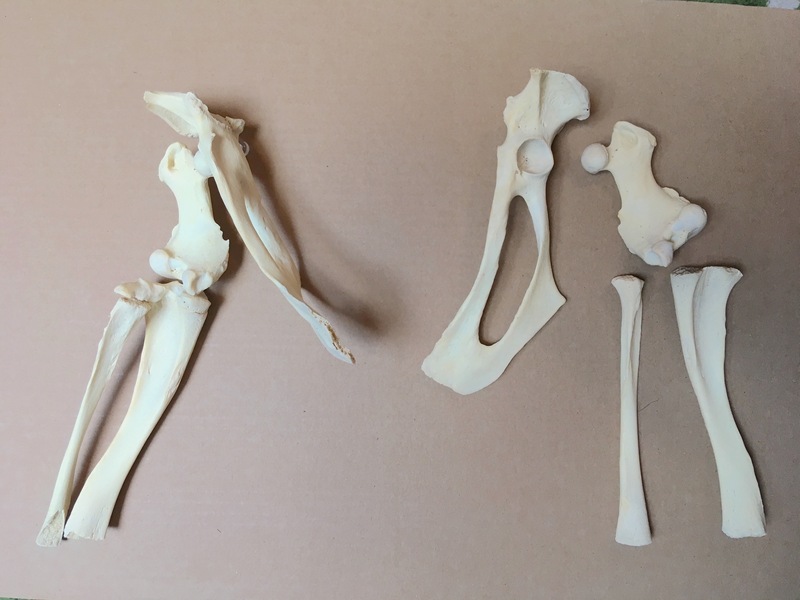 Assemble bones into a leg, or other limb (I have seal hind leg bones). Give students the bones and ask them to assemble them into [a leg] with the appropriate amount of guidance. Compare with equivalent human bones for size and shape. Look at the different joint types - ball and socket, hinge.